I think it’s about time I began to utilize this blog thing. I tried to hard, and I got bored. I didn’t try hard enough and I was still bored. Finding balance is something that doesn’t come naturally to me, so instead I’m just going to write. Imperfectly unbalanced but true. I write stories and scripts for myself. This blog should be the same and if someone happens to read and enjoy it too then I will be one very happy writer. Let us begin with niceties. I am also a student. Film. Second year. Falmouth. Cornwall. Yes, it is a great place to live, thanks for asking. 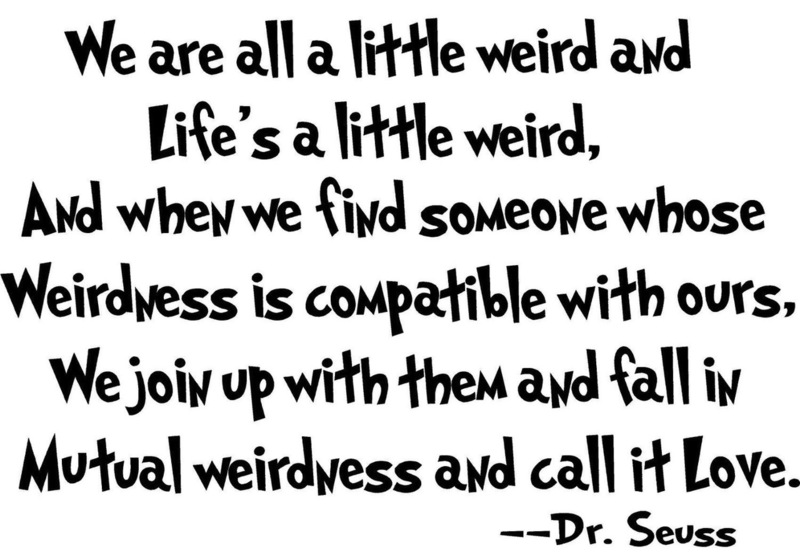 I shall leave you with a thought from my new favourite obsession, Dr. Seuss. Have a nice day, let’s fall in love.